The city of Berkeley is trying to fix dimly lit street lights as residents express concern for their safety as they walk home late at night. The light currently installed are meant to last 10 years but public works has received complaints about dark streets. Cheryl Hurd reports. 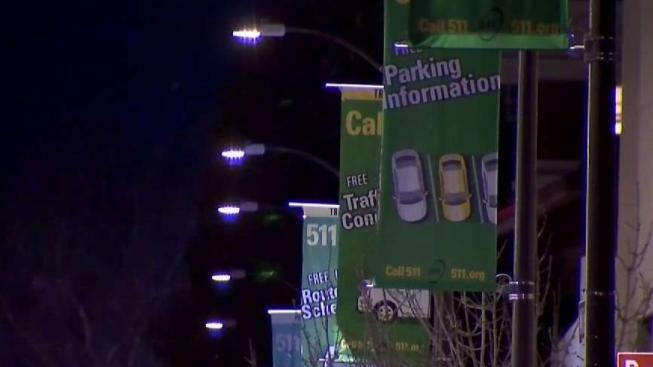 Berkeley city officials are attempting to ease residents’ concerns by fixing broken or dim street lights as some say they don’t feel safe walking home late at night. "I do feel a little vulnerable walking later at night because I see crime reports in this area," said Berkeley resident Michael Murphy. Murphy lives on a street where the light is so dim it appears to be out, but replacing the faulty lights is underway. "What we did in Berkeley about five years ago was we replaced all of our bulbs, high pressure sodium bulbs with LED lights," said city spokesperson Matthai Chakko. About 8,000 street lights, meant to last 10 years, have been replaced but in recent months Public Works has been getting complaints about dark streets. "We’ve gone to the company and asked them to replace the fixtures and because we are under warranty they are replacing the fixtures at no cost," Chakko said. Berkeley is negotiating with a San Jose company to pick up the cost of labor to replace the lights, but residents say the replacements are not coming fast enough. "Hurry up and fix them and make them safer for people who walk home," said Berkeley resident Tracy Mathews.